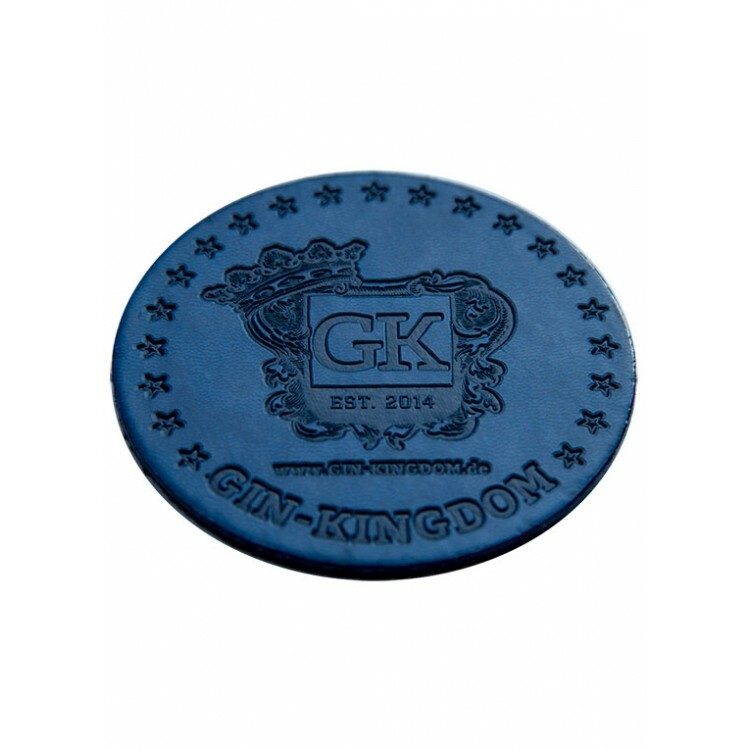 The original Gin-Kingdom Bar Coasters drive the Gin & Tonic ritual to perfection: They are made of waterproof synthetic leather. This material guarantees long durability and convinces with an attractive visual appearance. 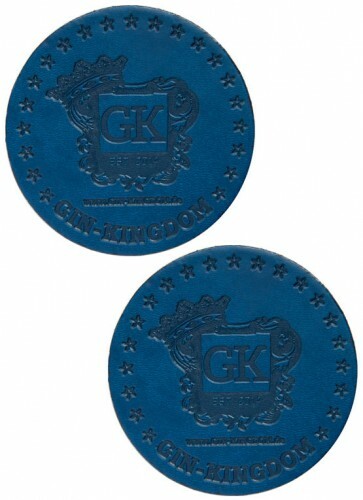 These high quality Bar Coasters drive the Gin & Tonic ritual to perfection: They are made of waterproof synthetic leather. This material guarantees long durability and convinces with an attractive visual appearance. 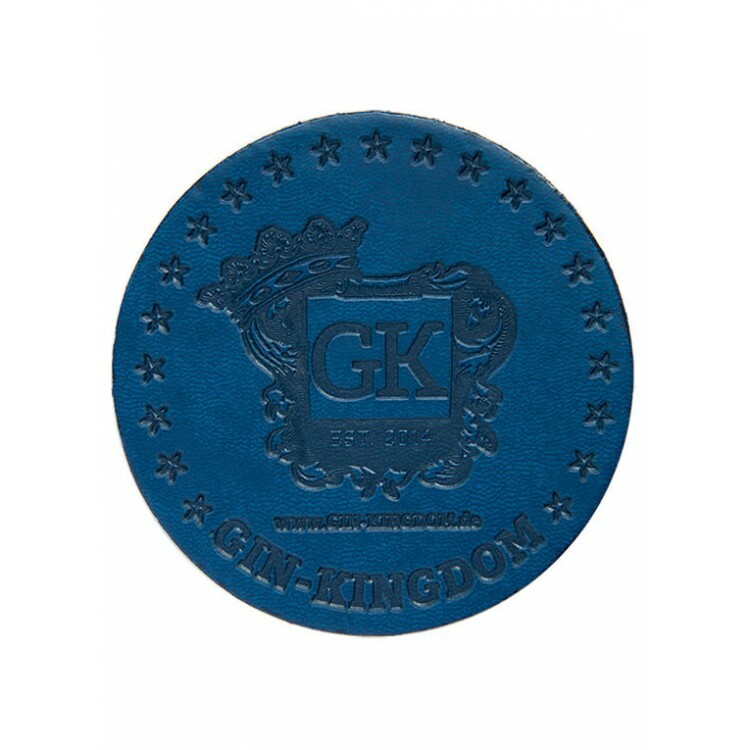 On the front side the classy Gin-Kingdom crest (Gin-Kingdom is the Gin store of ALANDIA) is precisely embossed into the leather. 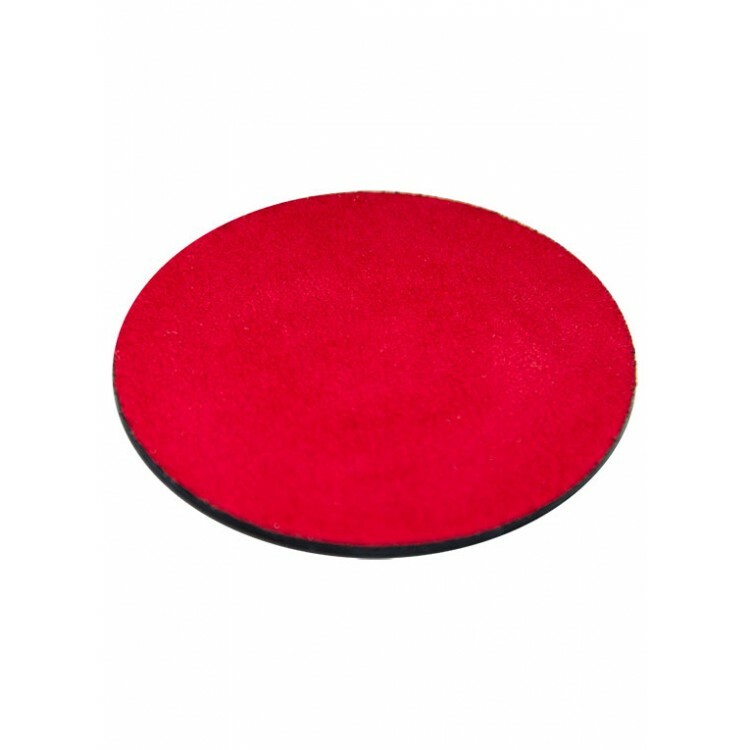 The reverse side of the coaster is cushioned with red velvet. This stabilizes the coaster on any bar surface and feels (and looks) good in your hands. 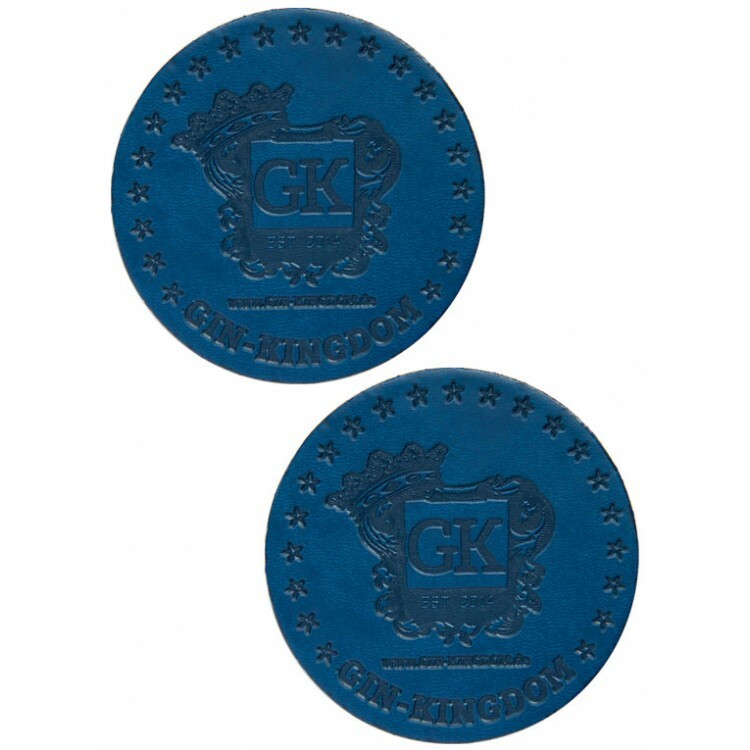 Overall, this bar coaster fascinates with premium craftsmanship and classy design. The coasters are packed in sets of two in an attractive brown paperbag. Therefore they are also perfect as a gift for any lover of premium Gin! Did you know, bar coasters were invented in Germany! The first bar coasters / beer mats were presented in 1880 by the German printing company "Friedrich Horn". Friedrich Horn invented cardboard coasters to protect fresh beer from insects and leaves falling into the mug while be consumed outside. Watney Brewery introduced these helpful gadgets to the United Kingdom in 1920 and imprinted them to advertise their pale ale. The success story of the coaster as a marketing and branding tool began! Today, coasters are an everyday piece in restaurants and bars. They are less used in their original function of covering a beer glass. Moreover, they are used to protect the surface of a bar, and, as they are usually made of soft materials like paper, cardboard, leather or cork, are appreciated for absorbing condensation water dripping along cold glasses. This makes them so popular amongst aficionados of cold drinks all around the world!